Eritrea prior to July 2018 had been projected as an isolated nation. Stifled by perceived Ethiopian aggression following a border war and also by a United Nations Security Council, UNSC, sanctions regime dating back to 2009. Information Minister Yemane Meskel in an interview with the BBC says, all was okay with Asmara’s relations in the international community save for a deliberate smear campaign . 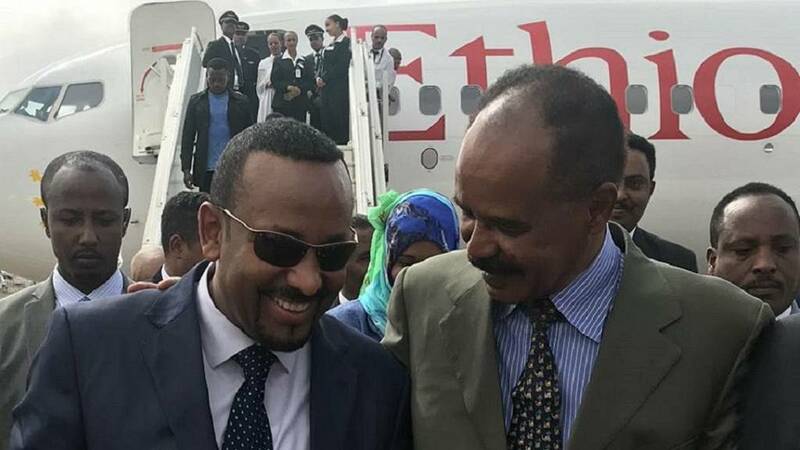 So much has changed since one peace deal was signed – the July 9, 2018 peace and cooperation deal between Ethiopian Prime Minister Abiy Ahmed and Eritrean President Isaias Afwerki in Asmara. 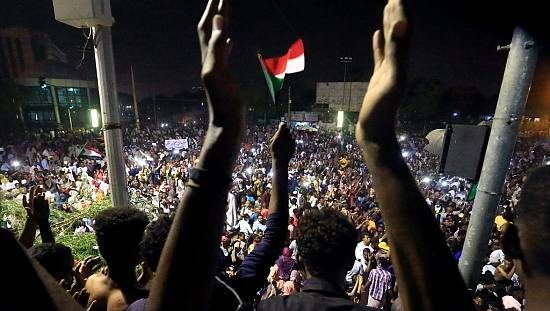 Not only has it opened the two countries and its people up to each other in different areas, its effect has been concretely felt across the wider Horn of Africa region. In 2018, Asmara became a diplomatic hub with regional leaders flying in, to hold talks on different levels. 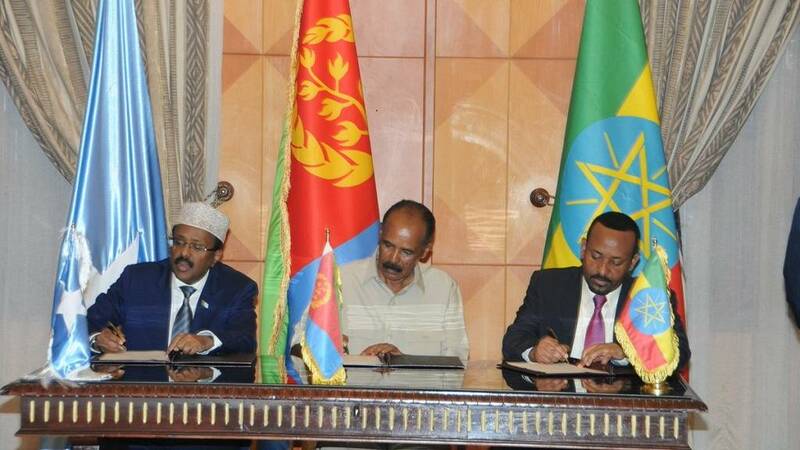 So far three leaders across the region have been hosted by the Eritrean government. Abiy has been to Asmara twice in as many months. The historic trip that culminated in the peace deal in July and then an unannounced visit in September as he returned from Beijing where he attended the FOCAC summit. The first trip was largely diplomatic and the first step to the normalization of ties, the second had more business to it as the PM visited Eritrean ports of Assab and Massawa. It wasn’t long before it emerged that the Somali president Mohammed Abdullahi Mohammed Farmaajo was due in Asmara. 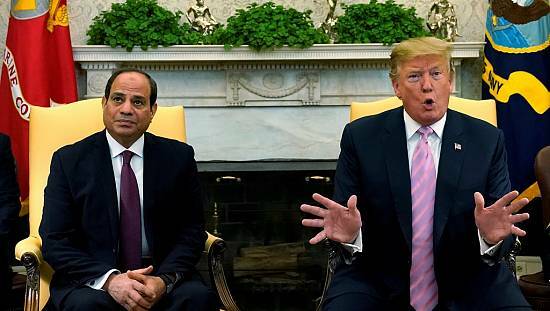 The two leaders of government announced the normalization of relations between them. Someway, somehow their rift remotely tied with the then regime in Ethiopia. 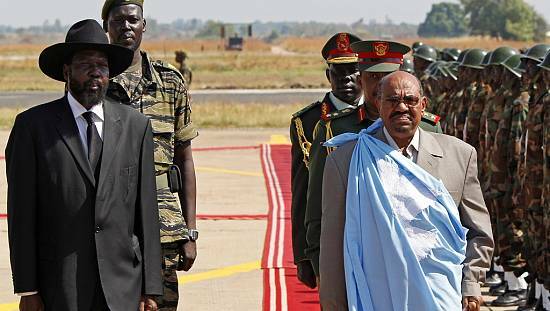 Farmaajo returned to Asmara in September and joined Abiy during the unannounced visit referred to earlier. 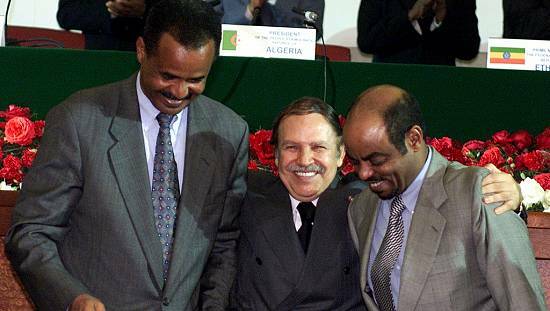 That was when the first tripartite summit was held between the three leaders of government. The second such summit was recently held in Bahir Dar, Ethiopia’s Amhara region. 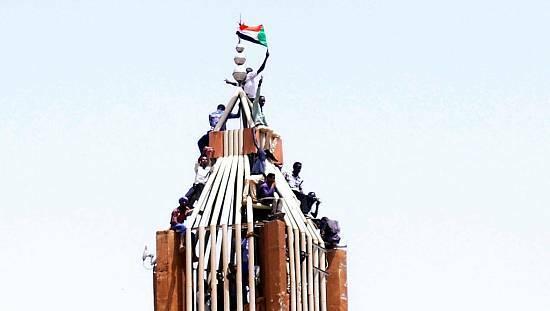 Then there was the trip of South Sudanese president Salva Kiir. 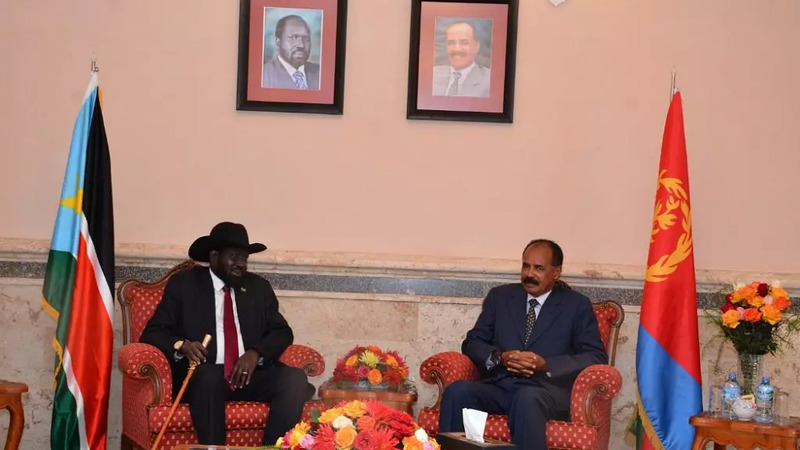 Afwerki hosted Kiir whiles admonishing South Sudanese to work to achieve the gains of independence – stressing that Eritrea was ready to support as best as it could. The Djiboutian normalization of ties is only a matter of time, according to political watchers and experts on the Horn of Africa. It took a regional push in part and Saudi Arabia to bring Afwerki and Djibouti’s Omar Guelleh to meet in Riyadh. 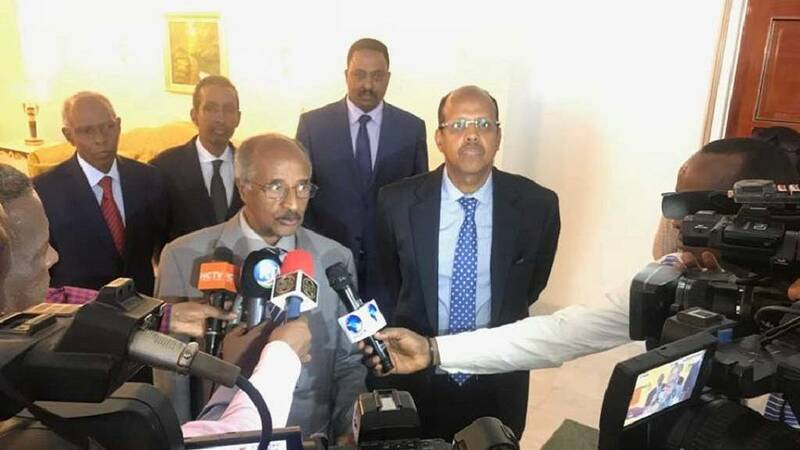 Before their meeting, Foreign Affairs chiefs of the tripartite group – Ethiopia, Somalia and Eritrea – had flown to Djibouti where they held high-level talks on the situation between Asmara and Mogadishu. The foreign ministers have since met in Mogadishu to continue talks on issues of mutual interests – during the trip holding meetings with the Prime Minister Ali Hassan Khayre and President Farmaajo. Afwerki is also on record as stressing the importance of Kenya in the ongoings in the region. He met with Kenyan intelligence chiefs in November and disclosed that he could visit Nairobi soon. Ethiopia has been Afwerki’s most visited destination in the year. Thrice overall. First in reciprocating Abiy’s visit. Then a return where he held talks with Abiy and visited the southern region. More recently fulfilling a promise to visit the Amhara region. That trip was tied to the second leg of the meeting of leaders of the tripartite group. Farmaajo flew in to join as leaders spoke on economic and closer regional integration and the need to always speak on international issues with one voice. Despite once jabbing Washington as the source of Eritrea’s international sanctions, Asmara twice received top US government officials in 2018. And it took a US shift largely for the UNSC to have agreed to lift the sanctions – which Eritrea had long tagged useless and without basis. The Middle East has also played different roles in Eritrean politics especially within the context of the Ethiopia peace deal. 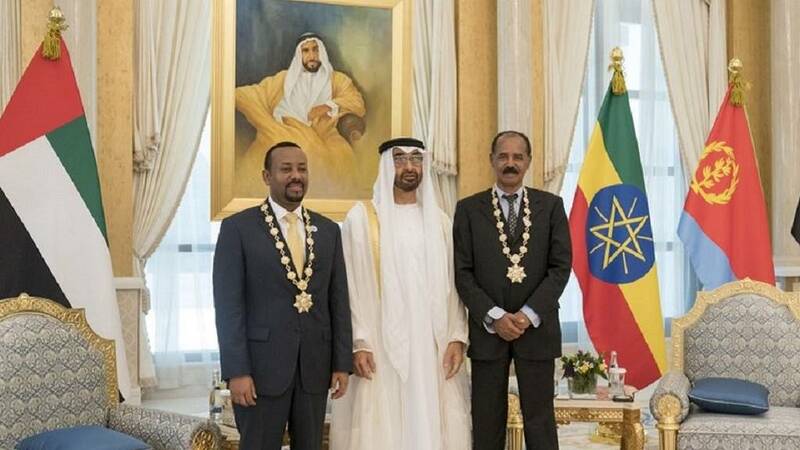 Abiy and Afwerki twice met in the United Arab Emirates and in Saudi Arabia – in each case they were awarded gold medals for their respective roles in bringing peace to the region.